So I guess what I'm really hoping in these reviews is to show you which shrimp dinner recipes offer you the most bang for your buck with regards to time. Which are the most delicious and take the least time. If you try one of these recipes be sure to leave a comment here on on the linked page to let us know what you think! Also, you can find more recent shrimp recipes and related posts to browse through, since I'll be continually finding and adding new tests! 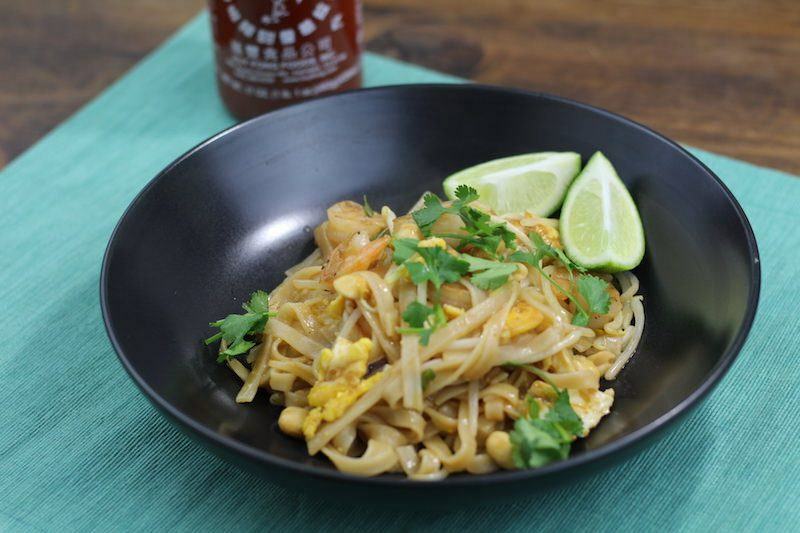 It's not that hard to make your own Thai food at home. Actually, once you figure out some of the main flavors and ingredients like lime, peanuts, and Sriracha, you can learn to improvise your own Thai meals. But don't get ahead of yourself. Follow a few recipes just to get started, like I did here. This was a really tasty meal! Total time to cook: 28 minutes. 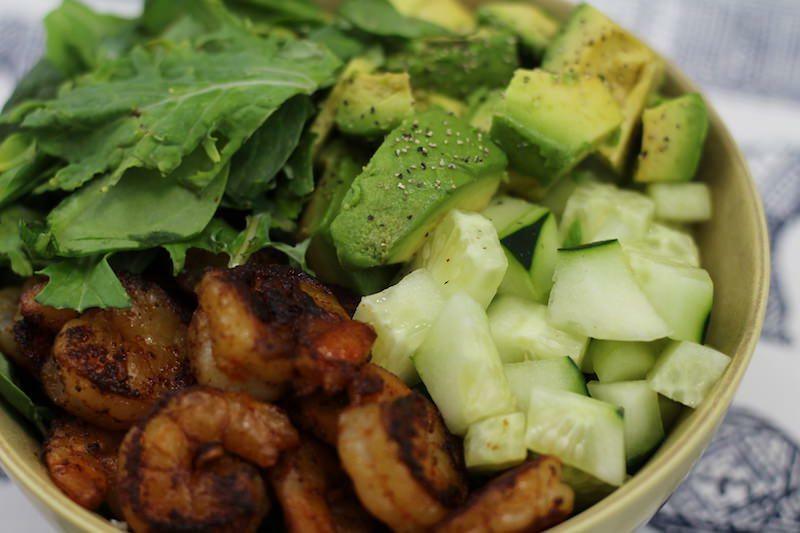 Even salads can be dinners, especially when there's delicious shrimp meat and prosciutto involved. 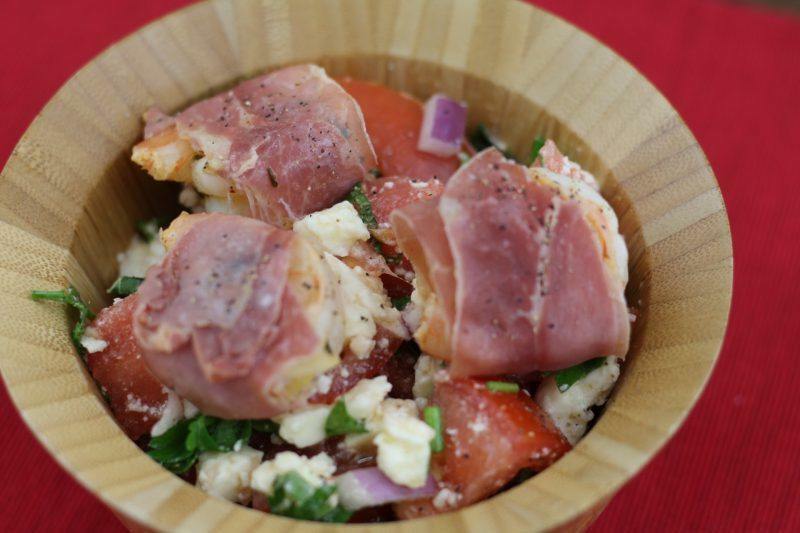 I'm not a huge fan of raw tomatoes, so I wasn't too hot on this recipe but was intrigued by the prosciutto-wrapped shrimp and watermelon in the salad. Clocking in at 24 minutes, this was a pretty fast recipe to prepare, with most of the prep being peeling and preparing the shrimp. In all, I thought the flavor combination was not excellent, but may be worth a try for an interesting summer salad. More Sriracha? I must have been in a phase or something. This was was a decent attempt at making some spicy noodles. I think I captured the idea of the recipe very well, but the results were not great. It tasted like Sriracha sauce on noodles. Not to mention the addition of cucumbers was super weird. But it only took 21 minutes to prepare, so you might not even care that much. Or maybe you just love Sriracha spicy-ness. A huge success with the quick shrimp recipes posts, this is one I've made a few times since completing the recipe and photos for the blog post. 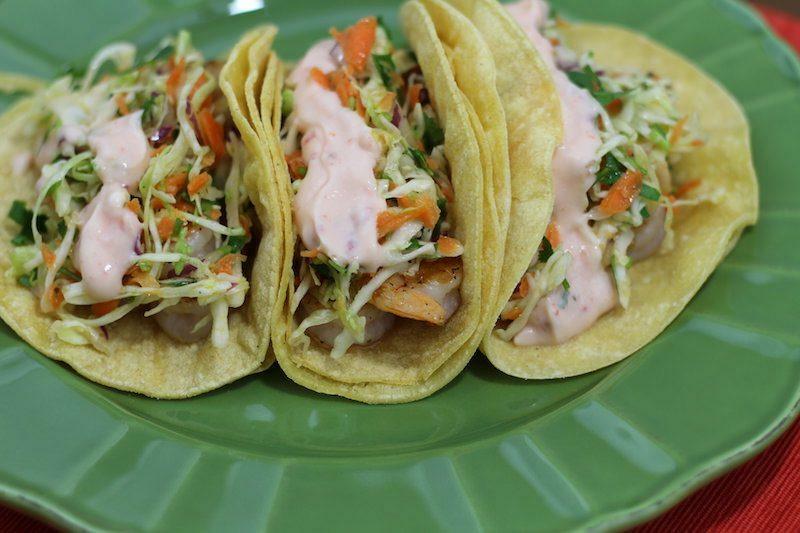 Every single ingredient in this recipe was magic, including the recommended homemade cilantro lime slaw. The tacos themselves only took 16 minutes to prepare, which is insane. But that doesn't count prep time for the slaw which was about 5-10 minutes more. 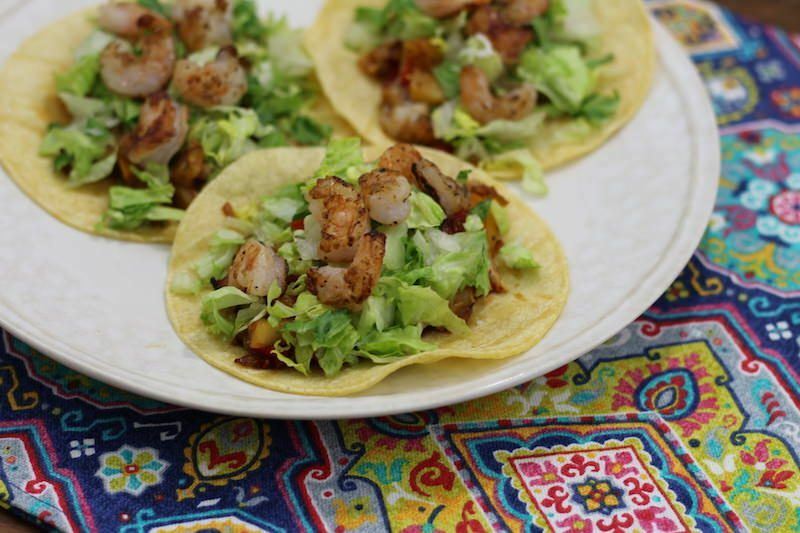 Still, that's less than half an hour and you can stuff your face with delicious, spicy, creamy, crunchy, and shrimpy tacos tonight. 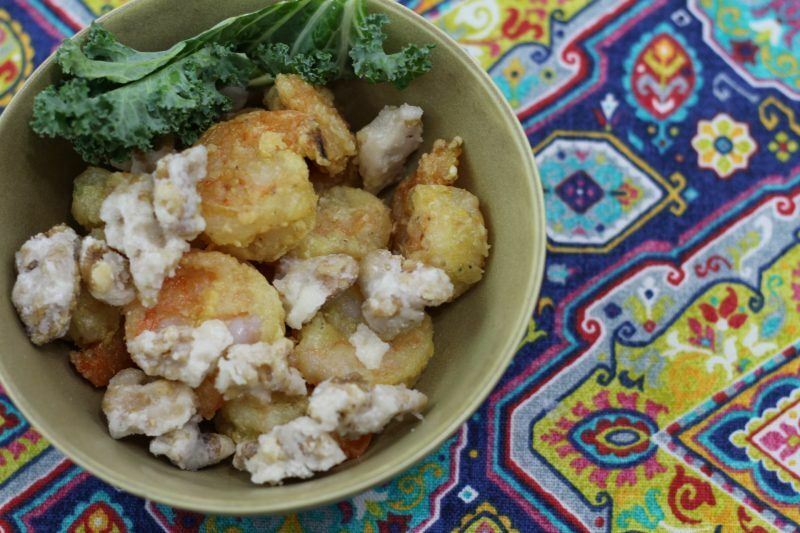 Surprisingly easy to make, there's just a few ingredients to include in this recipe. 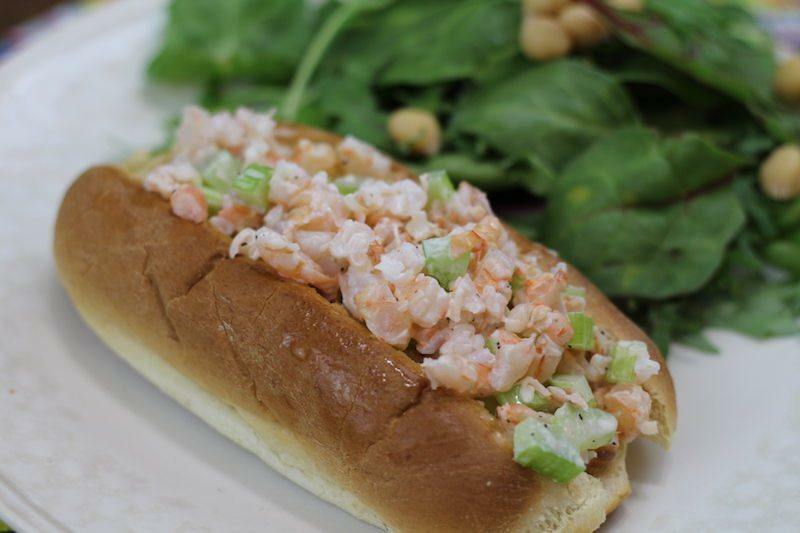 Pineapple, shrimp, and lettuce are the basics, but of course you've got to click over to see the rest of the recipe. Paired with simple corn tortillas, this is one of those meals where you'll catch yourself eating more tacos than you should just because they taste so great. I like my meals spicy so I added lots of hot sauce after the photos here! I failed the first time I made these, but wanted to master (or at least get better) at making pot stickers, so I tried it again. The second time was a win! 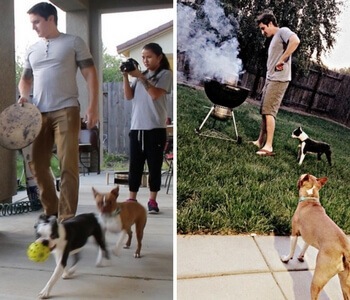 See what mistake I made the first time, and how I corrected it. 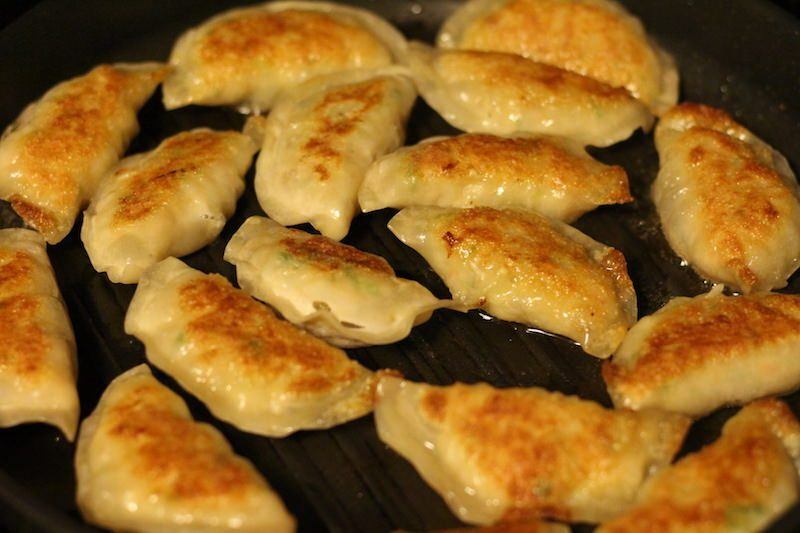 Though these can take a long time if you're feeding a lot of people, they are great to make in bulk one day, then freeze, and reheat another day. I also like using them for soups. 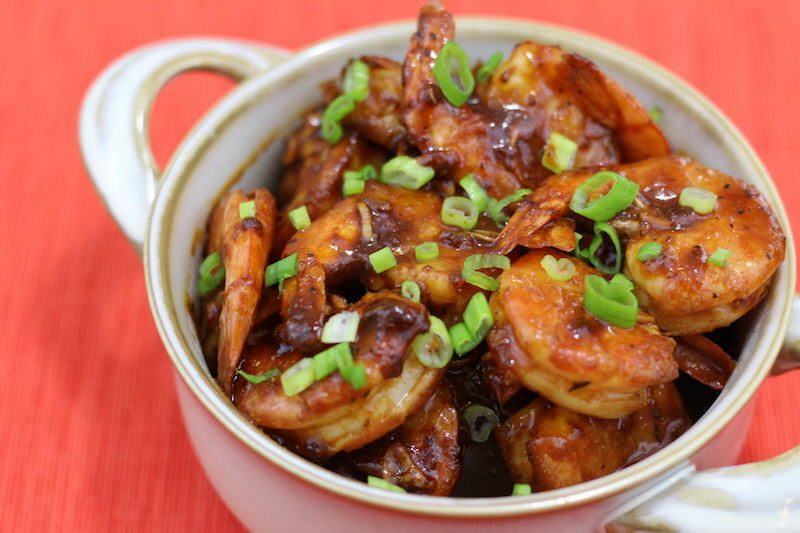 Definitely one of the fastest recipes listed here on this page, it's simply barbecue shrimp. You'll be best to cook some rice alongside this or you might end up eating a whole bag of shrimp! LOL. One thing I discovered is that you really need to pick a good hot sauce to make this recipe work. I wasn't that happy with the flavor I chose, although it was “Louisiana style”. Perhaps I'm just a fan of Mexican hot sauces. I wanted to mix up the styles of recipes so included a salad here. The only thing cooked was the shrimp here, but the miso dressing did take some preparation. It certainly was quick to make, and would have tasted better if I didn't let my shrimp burn while making the miso dressing. It was tasty, and would be worth trying again for a light lunch! 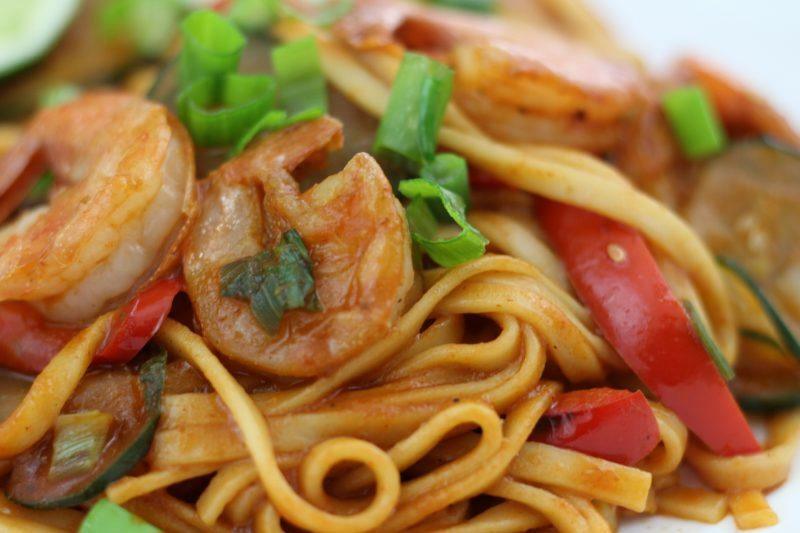 One of my favorite recipes on this list, you can tell by the picture that it was a sweet, Asian style meal. Paired with broccoli and sticky rice, it was simply delicious. 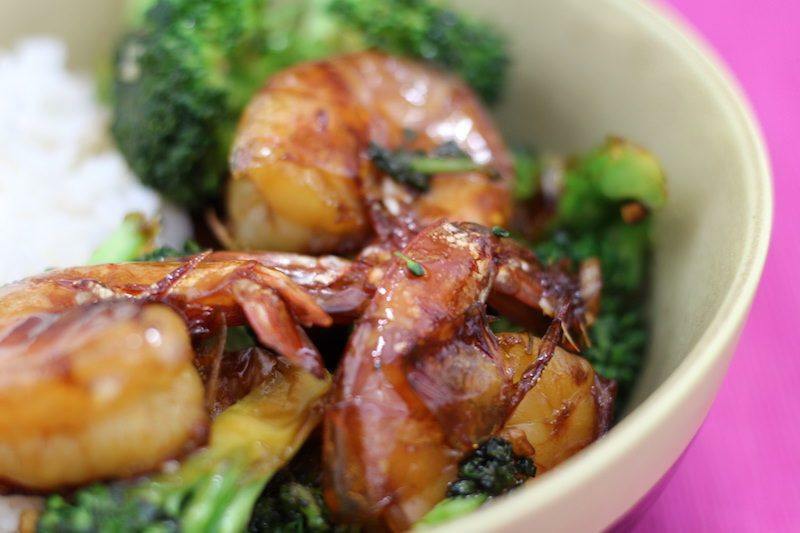 The sauce wasn't too hard to make, and the honey gave the shrimp and broccoli a wonderful looking and tasting glaze! I didn't have an immersion circulator when I prepared this recipe, so it didn't come out exactly as directed, but it still tasted delicious. 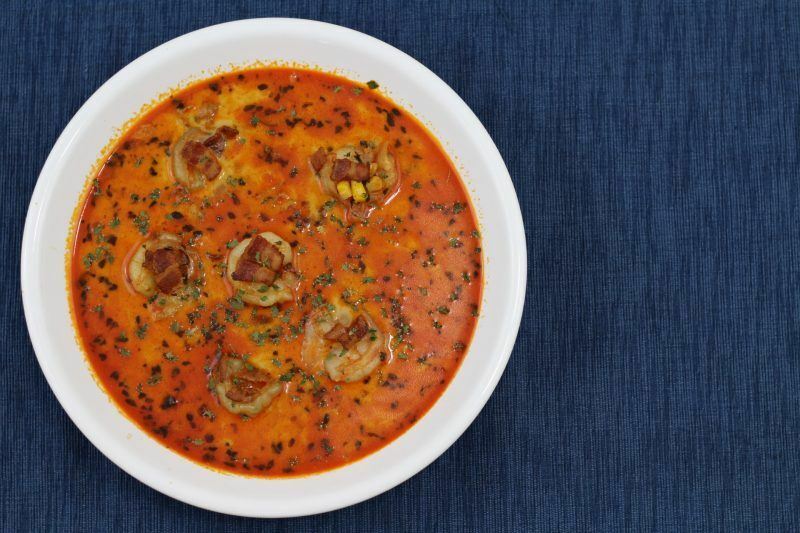 This spicy corn chowder was a tasty lunch soup for myself for a few days after preparing this recipe. Even though it wasn't blended into a full-on chowder as recommended, I still loved it! Next time I'd like to blend it though to achieve that creamy texture and I think it would taste even better! I guess I'm just biased towards Asian cuisine, but this was another winner in my books. 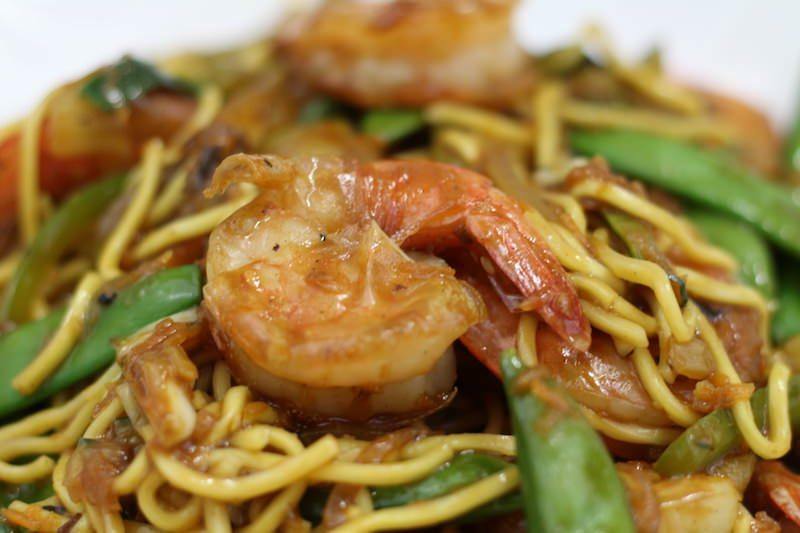 Veggies, egg noodles, and succulent shrimp means this is a hard recipe to beat. You can just memorize the recipe for the sauce (it's pretty simple), then switch out whatever veggies and meat you have on hand. Snow peas, carrots, and broccoli do very well in my opinion. Oh, and celery too. These are almost too easy to scarf down. They're a great summer lunch, or if you use smaller buns, as the original recipe called for, they can make great appetizers too. For me, the celery bits really made this a delicious sandwich because they added some crunch to it, but if you hate celery you could try water chestnuts instead. Don't make the same mistake I did and make sure your shrimp is cold before mixing with mayo. The head melted my mayo and turned it a little soggy. Oops. 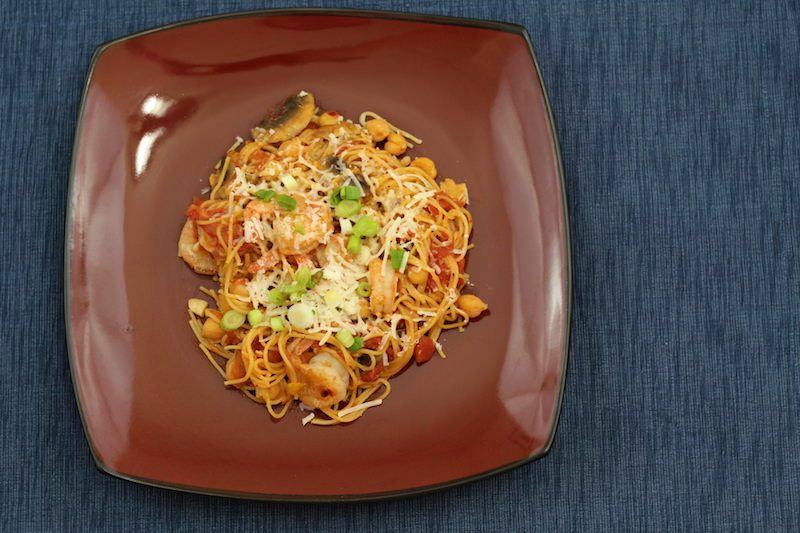 With cold shrimp you'll have a much thicker sauce, more like tuna or chicken salad. Ouch! My #1 fail on this page. The issue was I couldn't really understand what I was supposed to make until I actually finished the dish and said UH OH. The candied walnuts were clearly not “glazed”. They were caked in sugar. I think I boiled it too long. The shrimp shown here were simply fried, because the ones coated in sauce were white a goopy looking – not deliciously glazed with honey sauce. I think I added too much yogurt. This recipe seems to have a lot of fans, so it might be worth looking into, but definitely don't follow my lead (original recipe linked on my recipe test page). Chickpeas and pasta? I wasn't so sure about this. Although this wasn't my favorite recipe on the list though, it was good enough to give it a good rating. And the flavor combo was better than expected. Fast and simple, it's worth a try. Amazing!!!! In fact, I just made this again last night. If you don't know how to make risotto, it's a skill you need to have. Risotto is an amazing dish. This one happens to have shrimp in it. 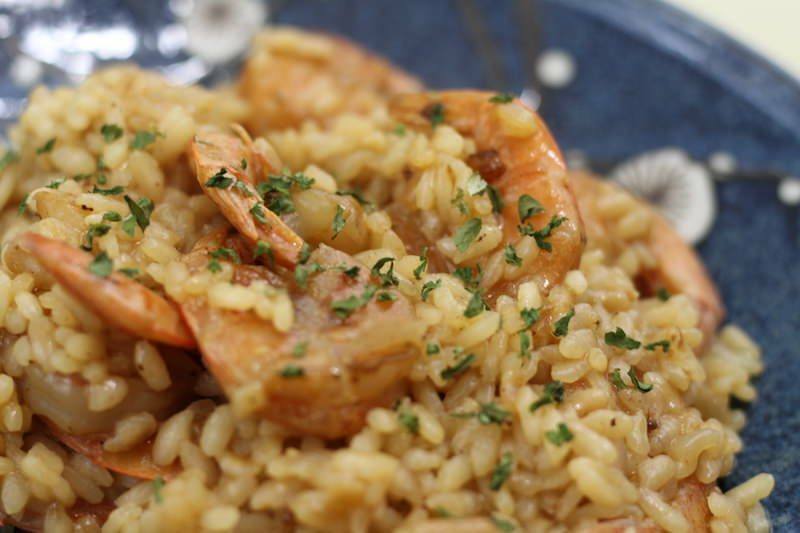 Next time I'd recommend peeling the shrimp first, cooking in a separate pan, then adding to the risotto after it's done cooking. That's what I did last night and it was even better than the first time. This dish is definitely one of my top 3 favorites on this page. Greek yogurt in pasta? Yup. That helps to make a creamy sauce without adding a lot of fattening butter. The creaminiess helps chill out the spiciness of this dish as well, although, if you're like me, you probably want to add a bit more sriracha to heat things up! 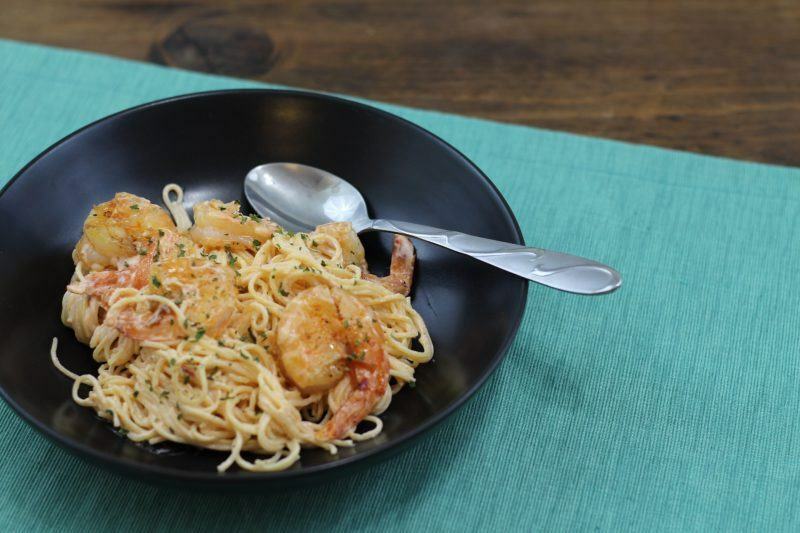 Another wonderfully quick recipe for shrimp!